1) SPP beam engineering and in-plane holography. 2) Conversion between SPP and far field radiation. One of the ultimate goals of the SPP research is to achieve the nanophotonic integration. Compact sources, modulators, and detectors are the main components. Our research aims to fulfill some kinds of the plasmonic integrated nanophotonic devices with alliance of nonlinear and active materials or devices. 1) Nonlinear SPP integration with nonlinear medium. 2) Active SPP integration base on electrically pumped LED. 3) SPP devices including multiplexers, switches, logic gates, etc. At optical frequencies, most metamaterials with metallic inclusions would be of the plasmonic excitations. 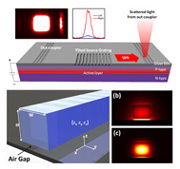 Our research pays particular attention to the plasmonic excitations on the optical metamaterials, where vairous plasmonic coupling were exploited that give rise to improved negative refraction performance, multiple negative bands, polarization rotations and conversions, and so on. At present, our research on this part mainly focuses on the metamaterials and metasurfaces for the beam steering, polarization control, optical spin-orbital coupling, and so on. Quantum information processing is promising field in the new generation information technology. 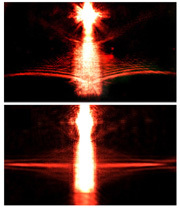 To extend the plasmonic device to quantum region is an important direction in our research. Beyond the apparent goal for information process, optical simulation by plasmonics waveguides to mimic the processes in condensed matter physics, cosmic physics would be exciting and useful. It is also what we concerned. 1) Quantum integration with entangled SPP. 2) Plasmonic quantum simulation and quantum walk.